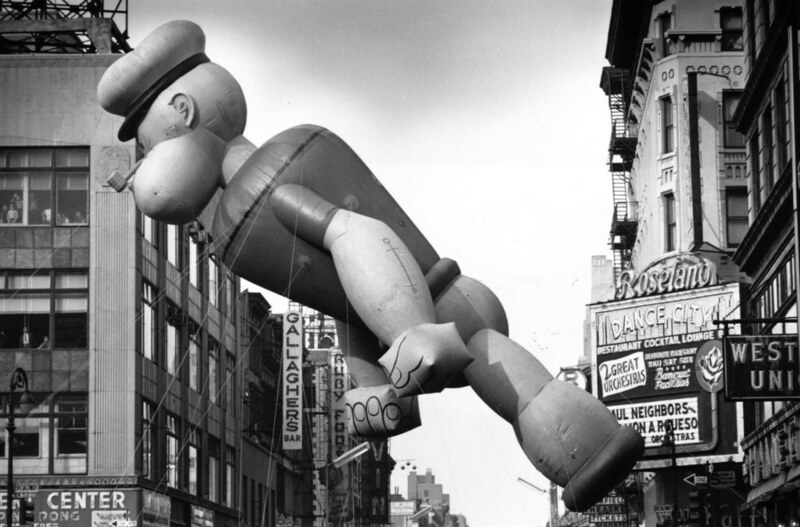 The turkey’s bathing in brine, the relatives are preparing their political arguments and the children are parked in front of the television, watching a larger-than-life Pikachu pursue a too-big-for-his-britches SpongeBob SquarePants. 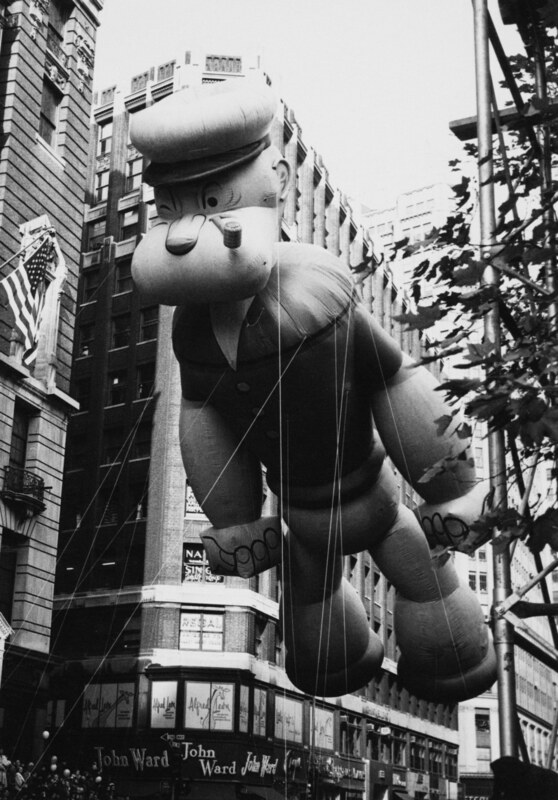 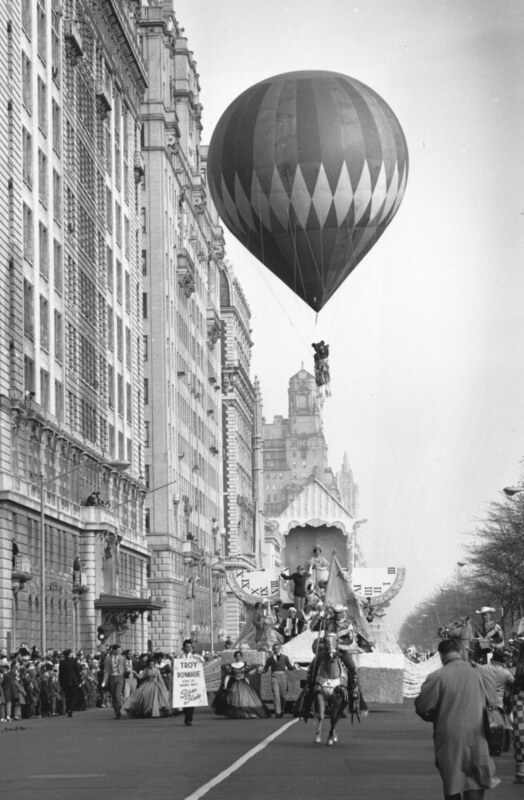 Since the first balloon debuted at the Macy’s Thanksgiving Day Parade in 1927, balloon-spotting has been as much a Thanksgiving tradition as donning elastic-waisted pants. But those gargantuan rubber characters—which can require as many as 90 handlers, a number that still hasn’t prevented run-ins with lampposts and the occasional bystander injury—have been the source of nearly as much Thanksgiving drama as have dinner-table debates. 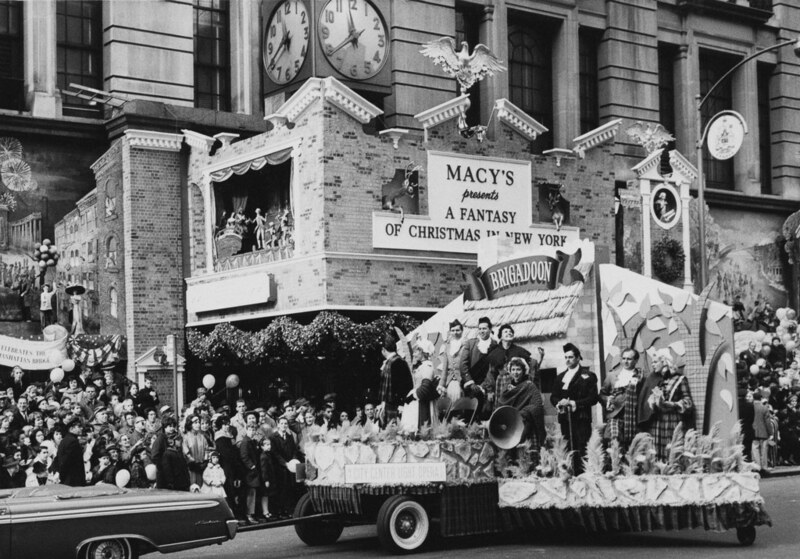 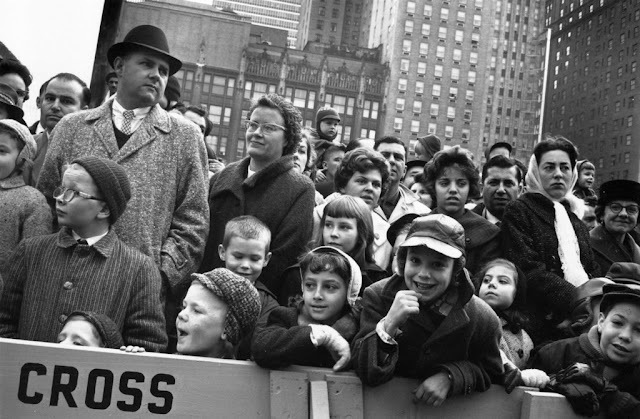 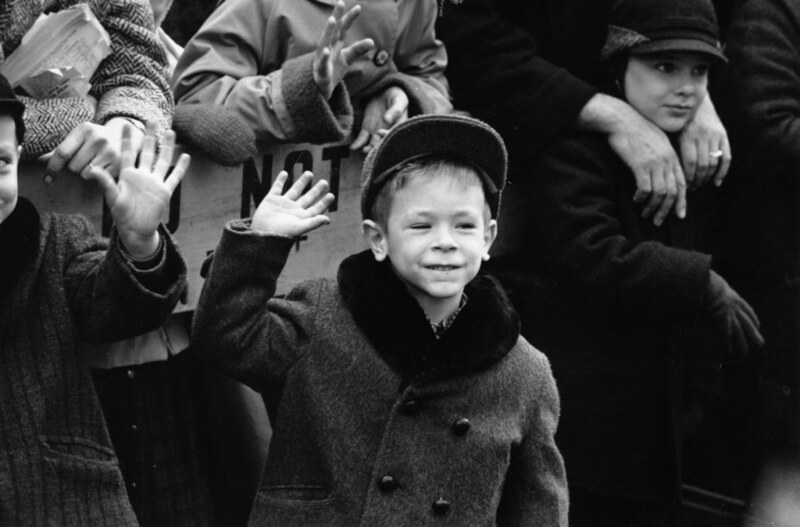 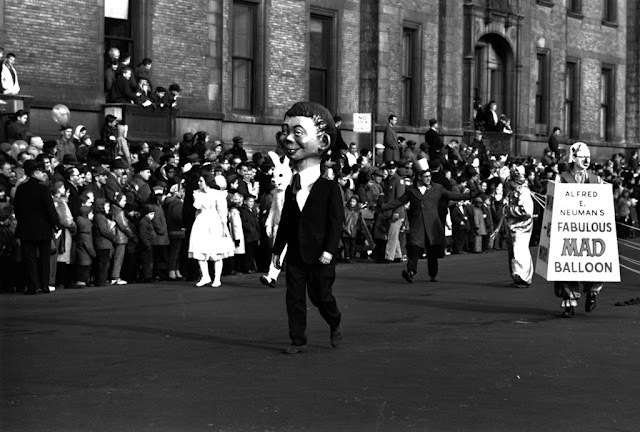 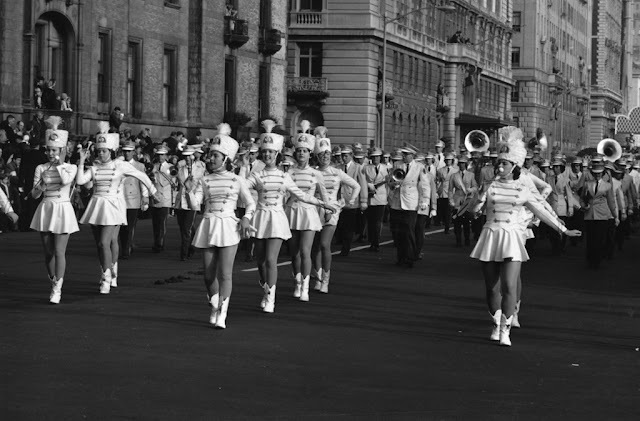 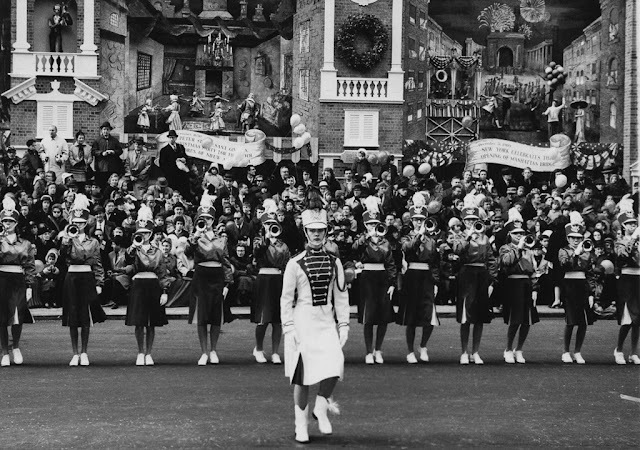 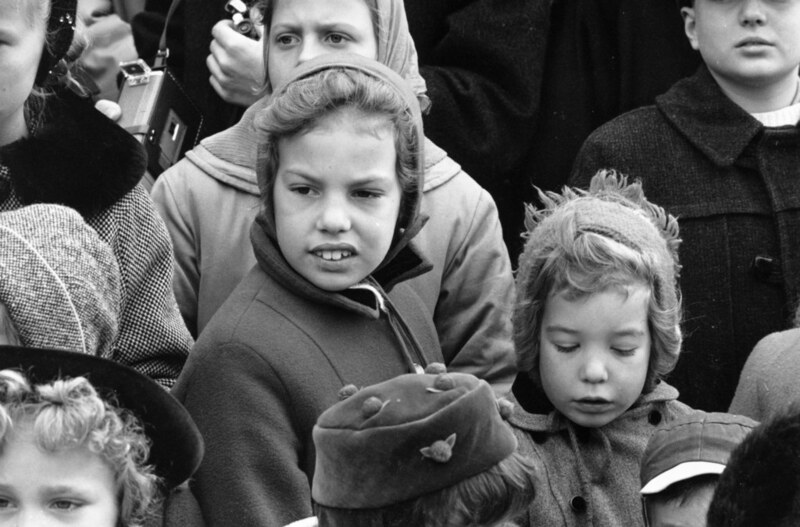 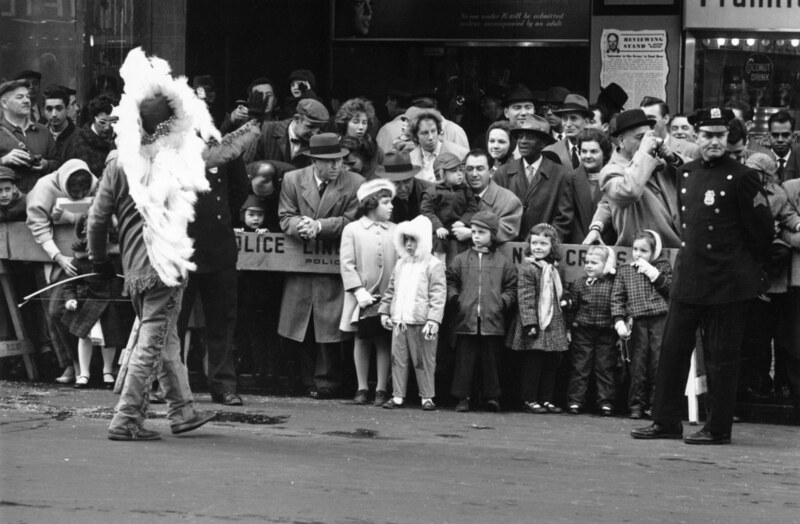 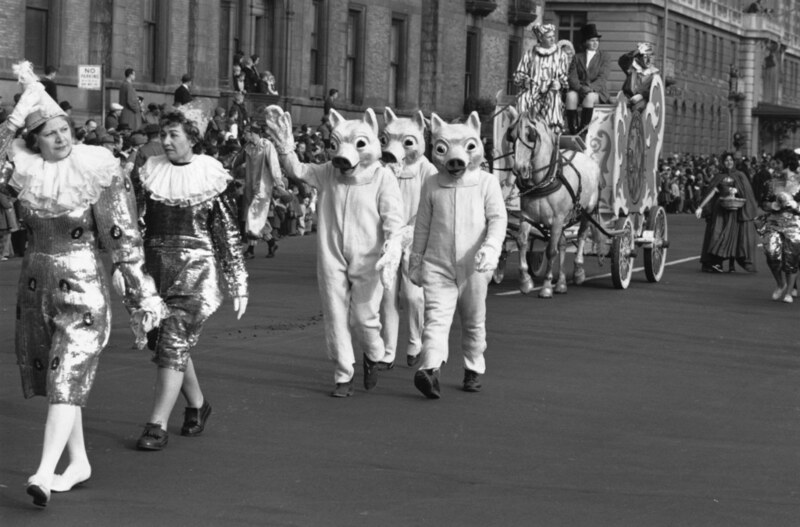 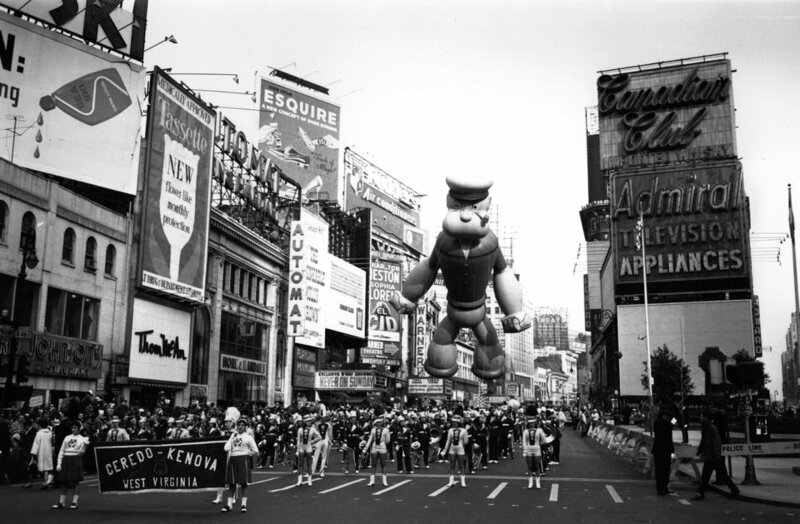 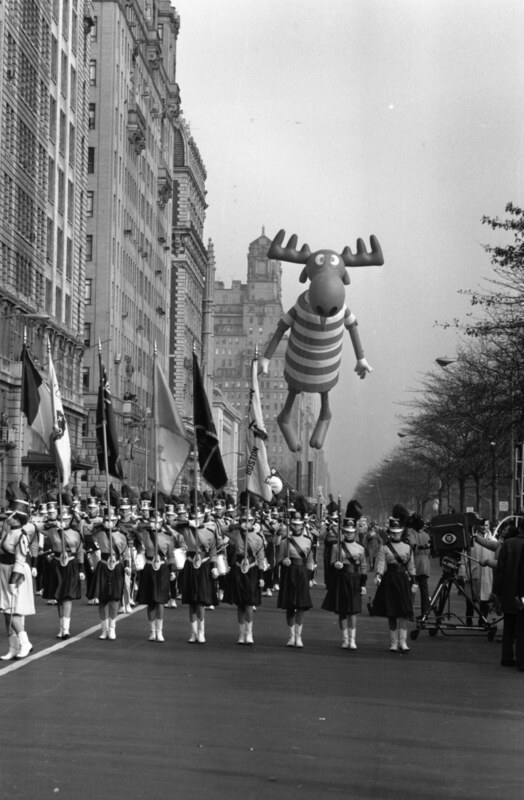 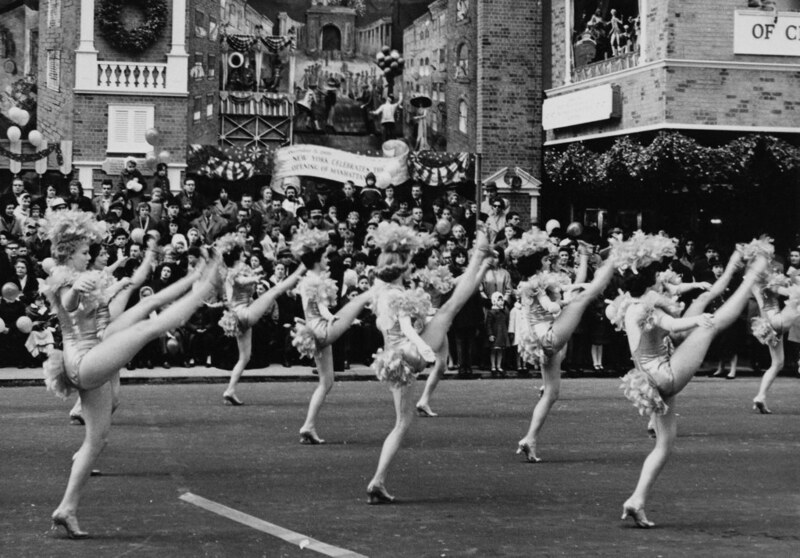 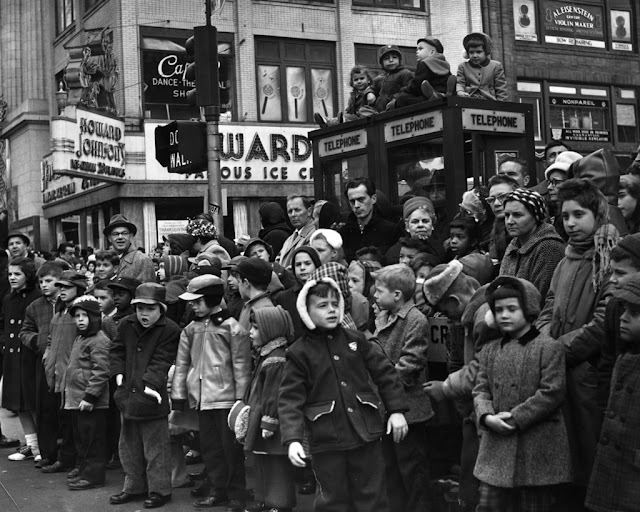 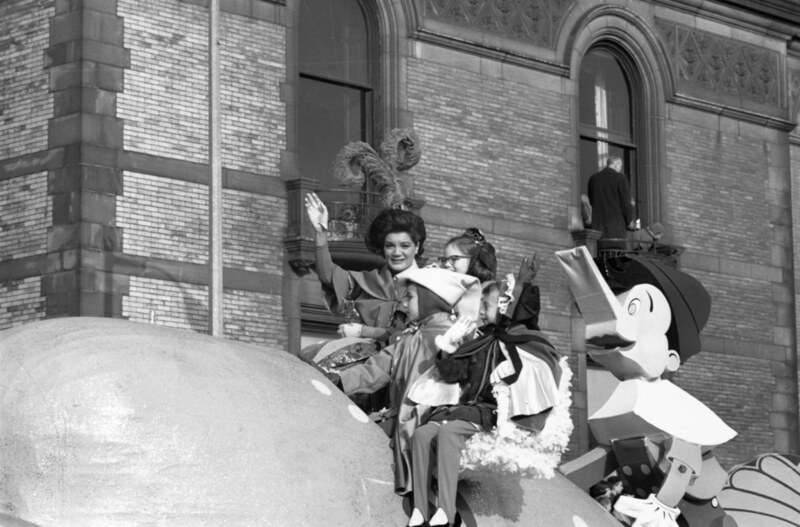 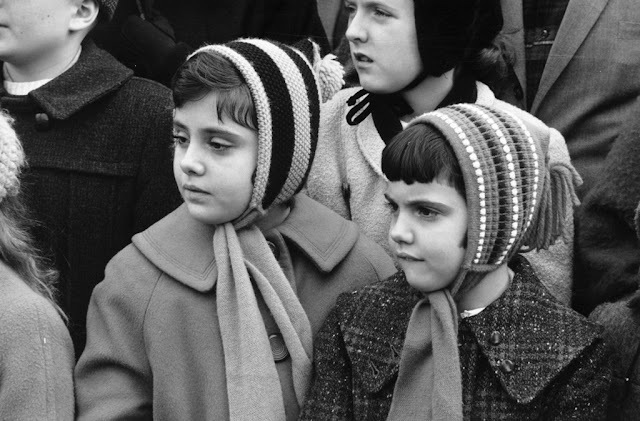 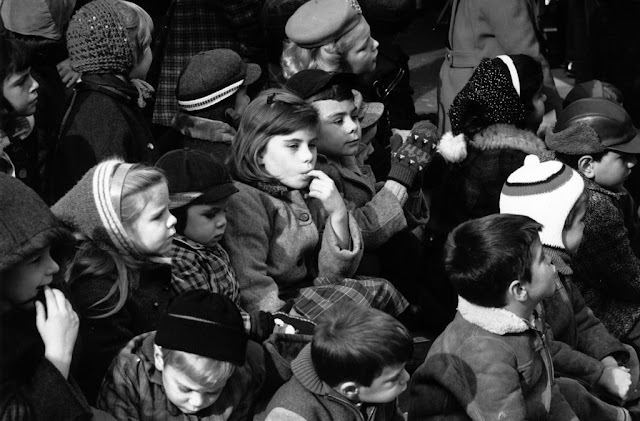 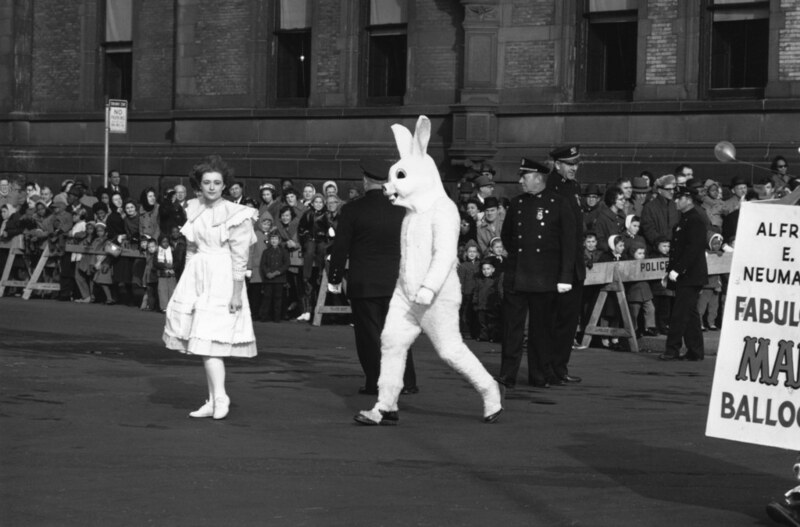 Below are some photographs of the parade in 1961—do kids today even know who Popeye is?